My Fourth Review for my sci-fi novel, Writings in Science. Thanks Divine Zape! 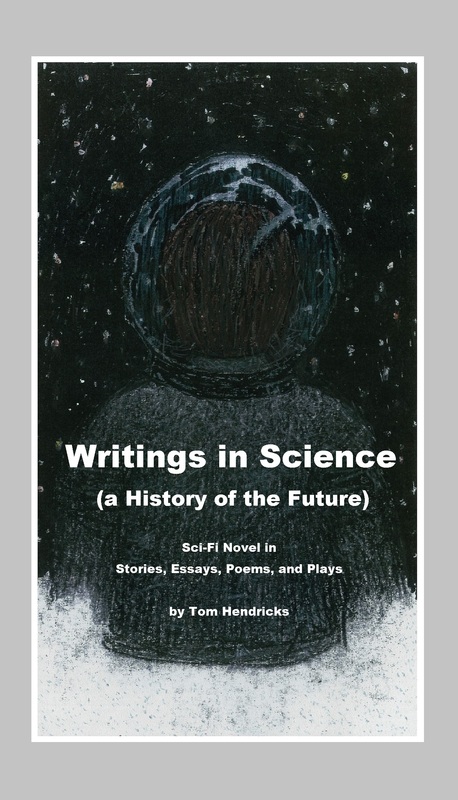 Writings in Science: A History of the Future by Tom Hendricks is a dazzling portrait of the world millions of years from now, as seen through the eyes of the character called “I.” It is the kind of sci-fi that can be characterized as visionary. The author shows a lot of ingenuity in creating new cultures and governments, offering access to other planets, but it is what humankind does in the face of extreme adversity that will capture the hearts of readers. It’s a work that will be adored by fans of sci-fi, short stories, futuristic essays and fantasy. Writings in Science: A History of the Future by Tom Hendricks is a dazzling portrait of the world millions of years from now, as seen through the eyes of the character called “I.” It is the kind of sci-fi that can be characterized as visionary. The author uses different genres to focus on a setting that features humanity at a very advanced stage, grappling with the problem of survival in a failing world. Considering the state of the world and how fast technology advances, this story may not take that long to happen. The author shows a lot of ingenuity in creating new cultures and governments, offering access to other planets, but it is what humankind does in the face of extreme adversity that will capture the hearts of readers. There is a lot I enjoyed in this book. It’s a little gem featuring all sorts of writing and art. I enjoyed the dialogues and the drama. I enjoyed the beautiful prose, engaging and constant. I enjoyed the idea of preserving human heritage and memories through journaling and other forms of art. There is variety in the writing, but it doesn’t make it boring to read, perhaps because the stories are like dreams interrupted at dawn. The author uses a lot of symbols to paint a reality of a very distant future. Then there are the compelling characters, geniuses, aliens, and robots. Writings in Science: A History of the Future by Tom Hendricks asks many philosophical and ethical questions, including the fate of humanity vis-à-vis rapidly growing science. It’s a work that will be adored by fans of sci-fi, short stories, futuristic essays and fantasy. This entry was posted on November 17, 2016 at 3:11 pm and is filed under Blogroll, Book review, books, drama, evolution, Fun, Internet, Literature, sci-fi, Sci-fi, science, Science, Writings in Science. You can follow any responses to this entry through the RSS 2.0 feed. You can leave a response, or trackback from your own site.